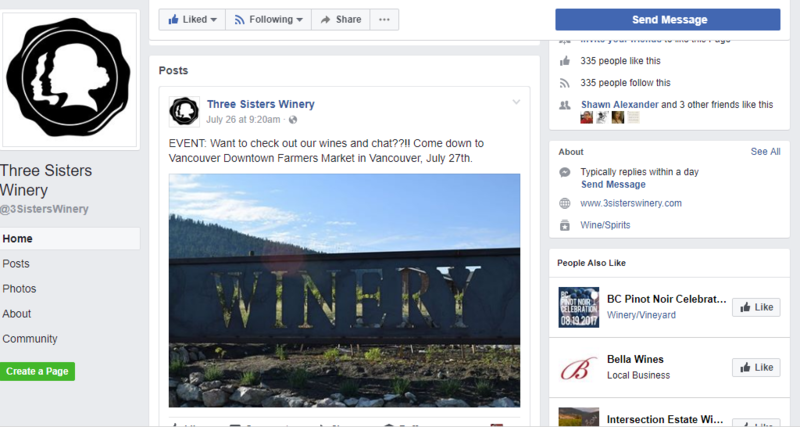 I was the social media manager for the Three Sisters Winery from May 1 to August 1, 2017. Previous to me starting they were not consistent and did not have much engagement. 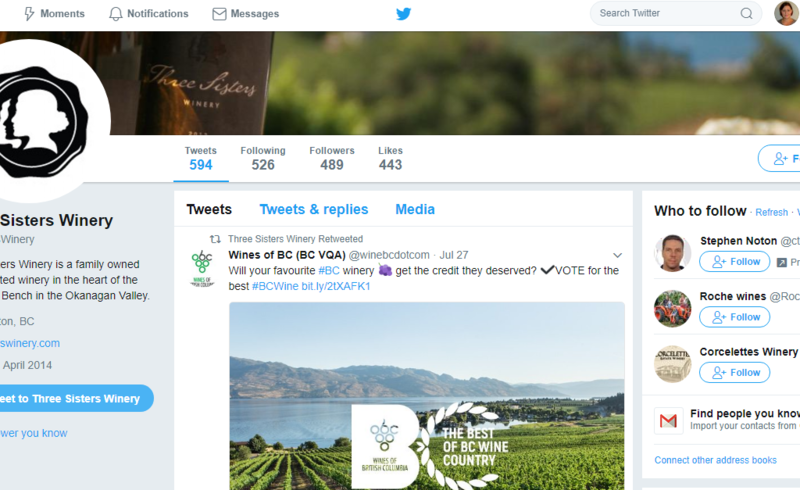 As with most social media posts and engagement, it is all about trial and error to see what your audience and customers react to more. Instagram was definitely my favourite to work with and post on. 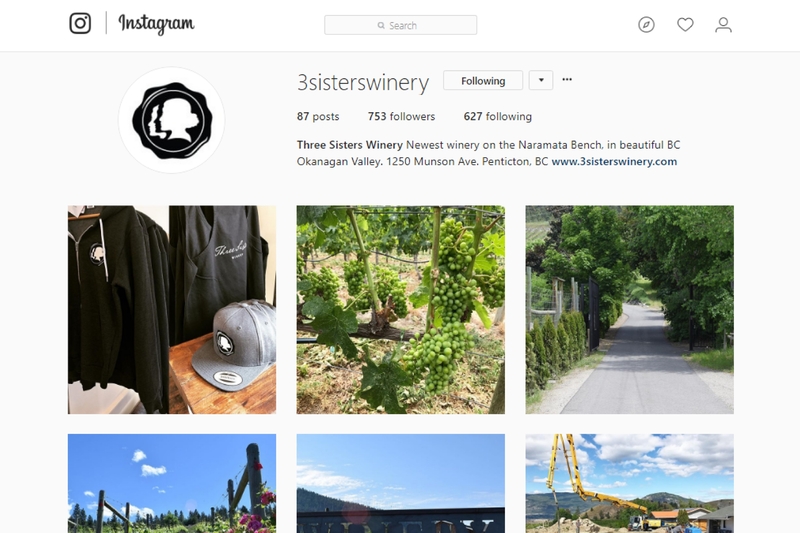 Three Sisters Winery customers and the audience really liked the Instagram posts, and it’s where most of the engagement came from. 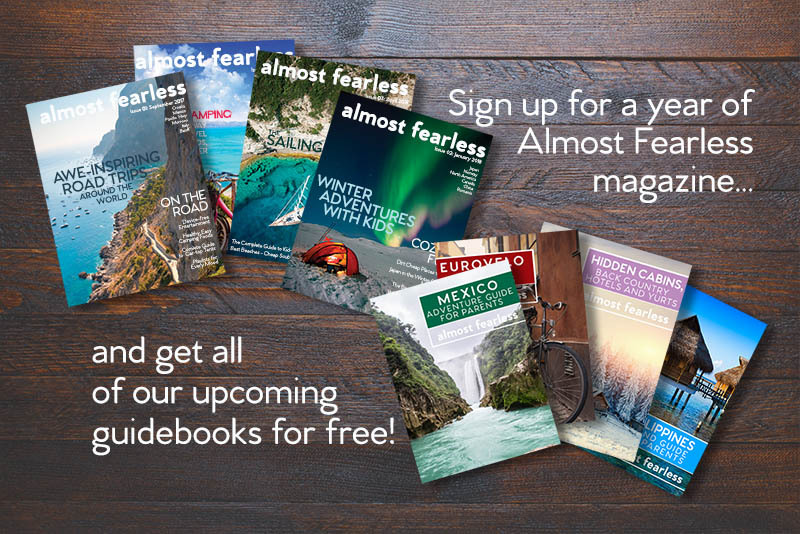 I thought facebook would be where we would find most of their audience but after the first month, it was apparent that it was on Instagram. 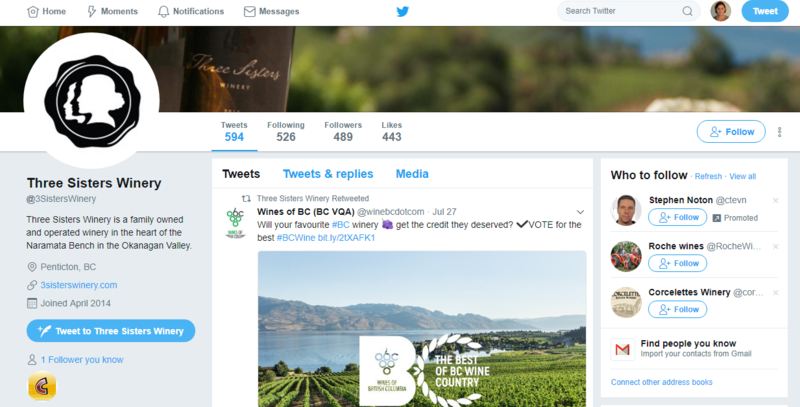 Have a look at the Three Sisters Winery social media accounts, links above. I used Buffer to schedule posts on Instagram, Twitter and Facebook page. I would post once a day on their Instagram, 3 times a day on Twitter, and 4 times a week on Facebook. I made all the graphic designs in Canva and took all the photos used in the social media posts. 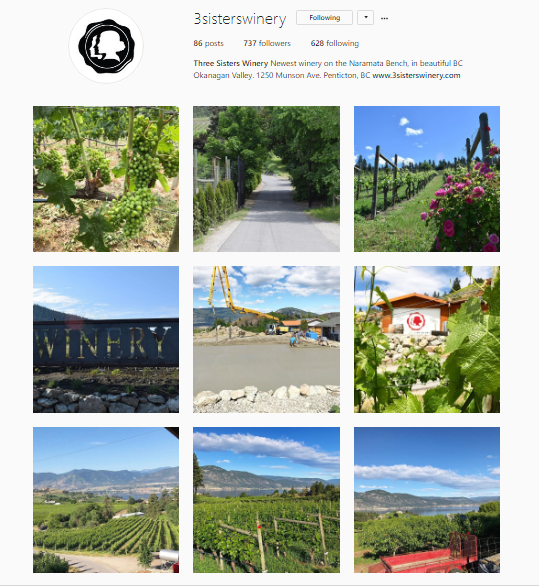 Portfolio – Push on the Winery Photos or Vineyard Photos to see what photos we took and used for Three Sisters Winery Instagram and the other social media accounts. 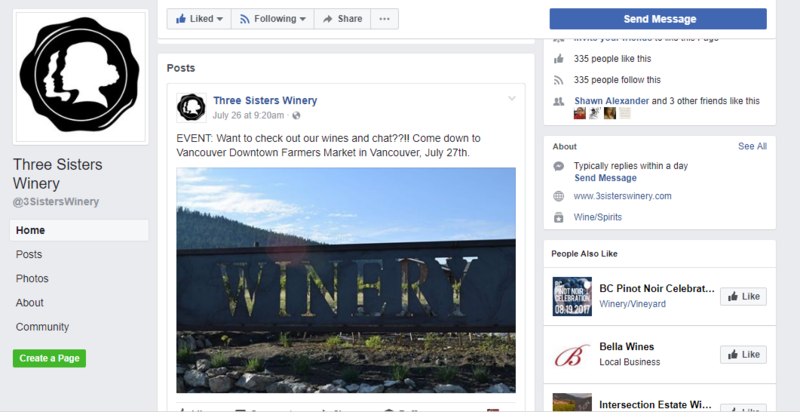 Canva Graphics page – to see the graphics I made for Three Sisters Winery and other businesses. 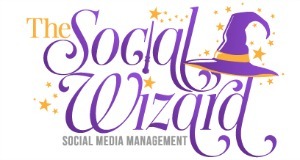 Social Media Management Services – Are you looking for someone to take over your social media posting so you have more time for other business tasks? Check out my services and packages.